Billed as the "Four Legged Bottle Opener for the Party Animal" an American inventor has come up with a dog collar with a retractable beer bottle opener! 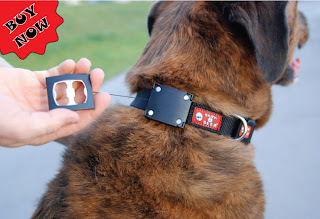 Being in the pet products business, we see all sorts of new, weird, fun, interesting and different products, but the "Bark4Beer Collar" is one of the most unusual (ok, I admit it, I am a beer drinker, so maybe I am biased). At the moment, the collar appears to be only available in the USA (bark4beer.com). Do you think we should stock it on our website?